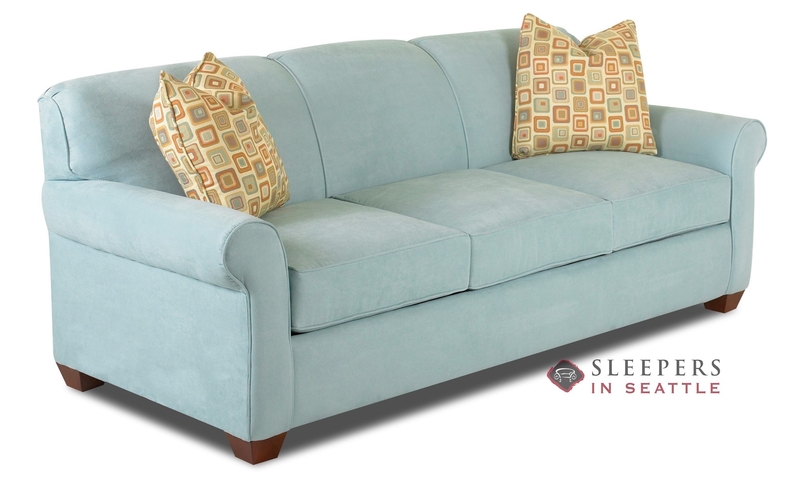 The grace of the Calgary Queen Sleeper elevates this style into a class of its own. 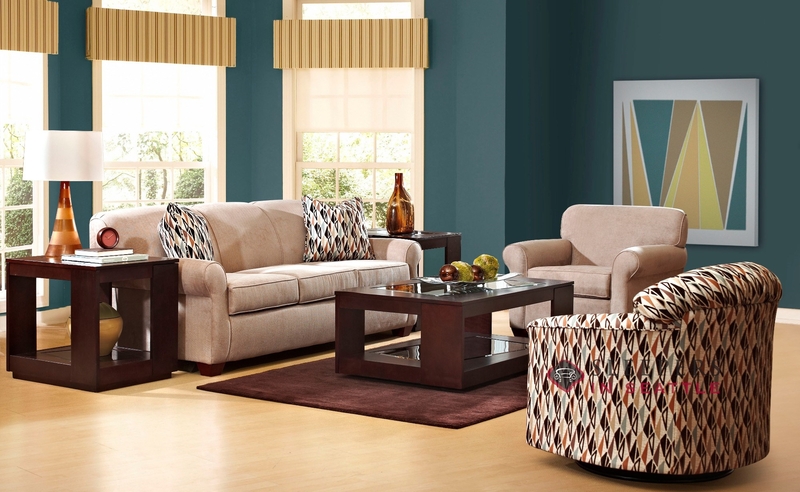 The design of the Calgary couples a clean, tightly-upholstered back with box cushions and wood legs to produce a distinctive fashion statement. 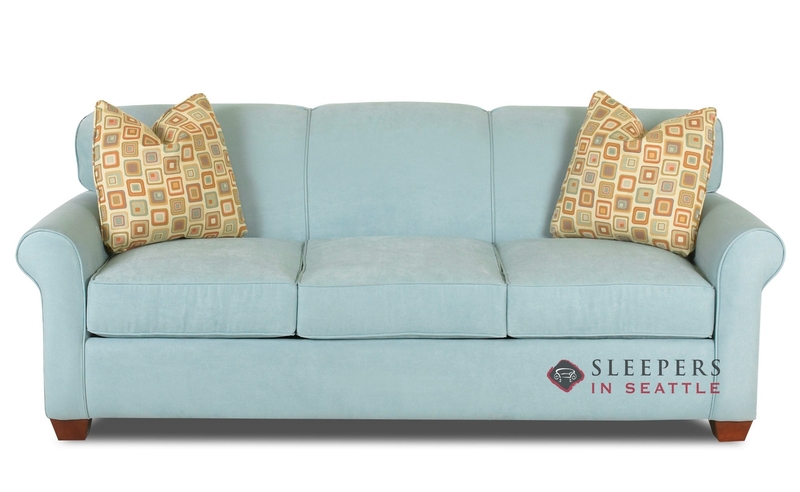 The Calgary is available in a wide range of fabric upholsteries with four mattress options. Have the calgary in a green microfiber. So far the kids haven't been able to destroy it, yet! Cute style. Like the smallish rolled arms and the welted piping. 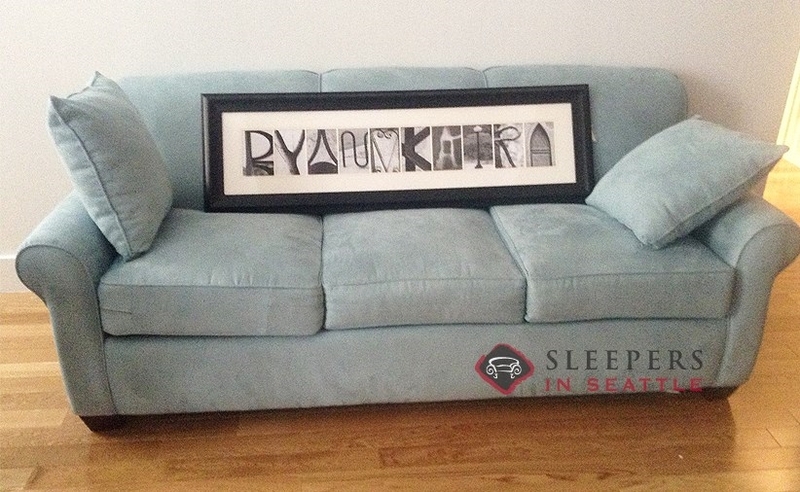 Got this sleeper with a matching chair and loveseat, and am really glad. Favorite part is that the queen sleeper/sofa I got is just as comfortable to sit on (when not made up as a bed) as the loveseat and chair are. This usually is not the case so I am really pleased. Good compromise, with the rolled arms but it's not too big. Really comfortable to sit on, and all our guests raved about the night's sleep (relative for a sleeper, I suppose). Anyway, good investment. Paid the extra money for their best mattress, but I think it was worth it. 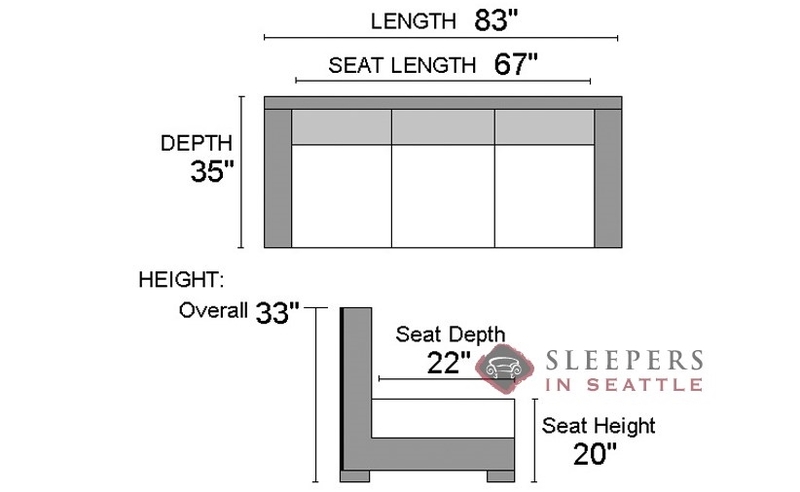 Judging by all of the dimensions given, once opened there is approximately a 4" gap between the head of the mattress and the sofa back...is this correct? I will sometimes have a guest who is 6'-4" tall and knowing this extra space exists is crucial for their comfort. What is the minimum dimemsions of a door for delivery. I have a huge loft for the sofa but the door is only about 28" wide? 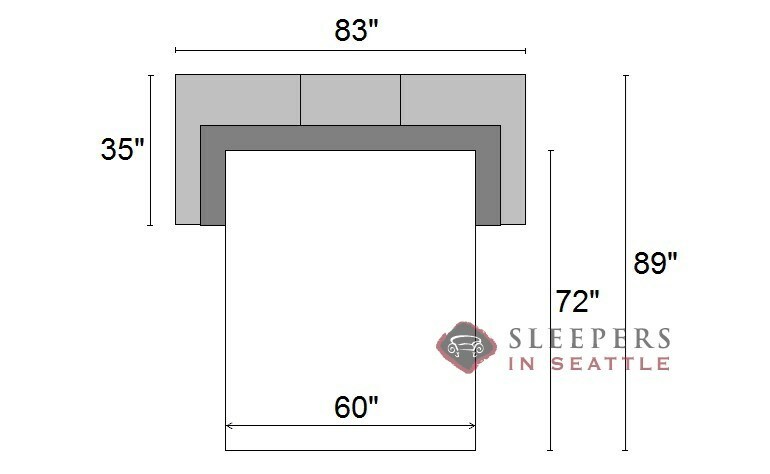 The Calgary would be a tight fit through a 28" door--it may fit, but it would also depend on how much room our team would have to navigate on either side of the door. A similar option, that can easily pass this doorway, would be the Ottawa Queen Sleeper--this is due to the difference of a pillow back in the Ottawa as opposed to the hard-back of the Calgary. What is the name of the light blue color featured for this sofa? Is it available in the fabric options? 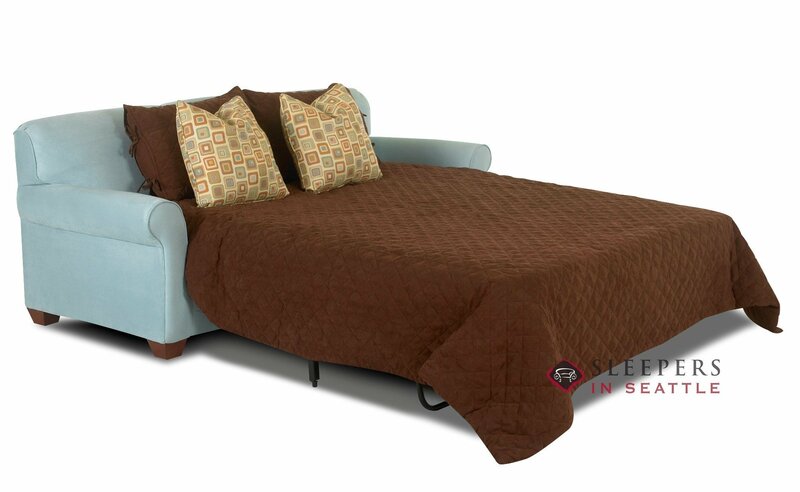 The fabric shown in the main product image is unfortunately no longer available. That said, we have many sky blue options, which can be viewed by clicking 'Start Customizing'.